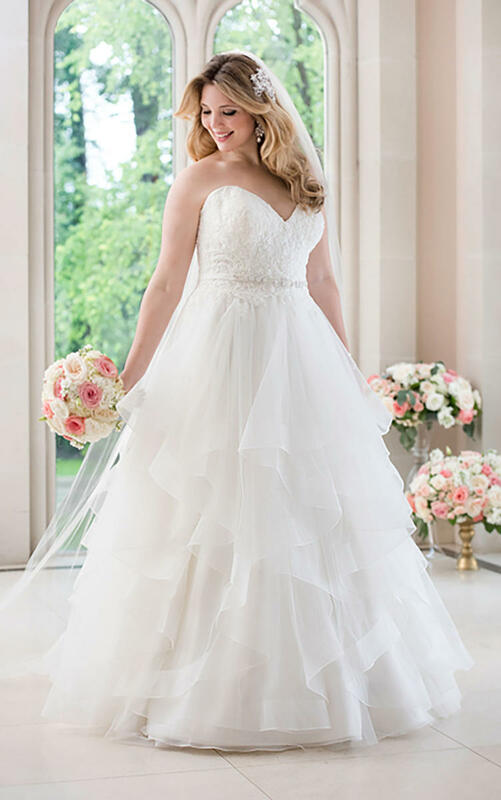 This A-line wedding dress from Stella York features Royal organza and a fitted, Diamante-encrusted lace bodice with a sweetheart neckline. The 1/2″ grosgrain ribbon waist belt slims, while the mid-cut back zips up with ease under sparkling Stella crystal buttons. The skirt adds ethereal appeal with its flowing layers of tulle.